Facebook takes down a legitimate anti-far-right protest page, calls it "inauthentic"
Like Linus Van Pelt searching the pumpkin patch for a really sincere pumpkin, Facebook has been scouring its political organizing pages for really sincere protesters, and loudly and performatively purging any activity it deems to be "inauthentic." One of the casualties of this purge is the countermarch for Unite the Right organizer Jason Kessler's planned "white civil rights rally" in Washington DC. 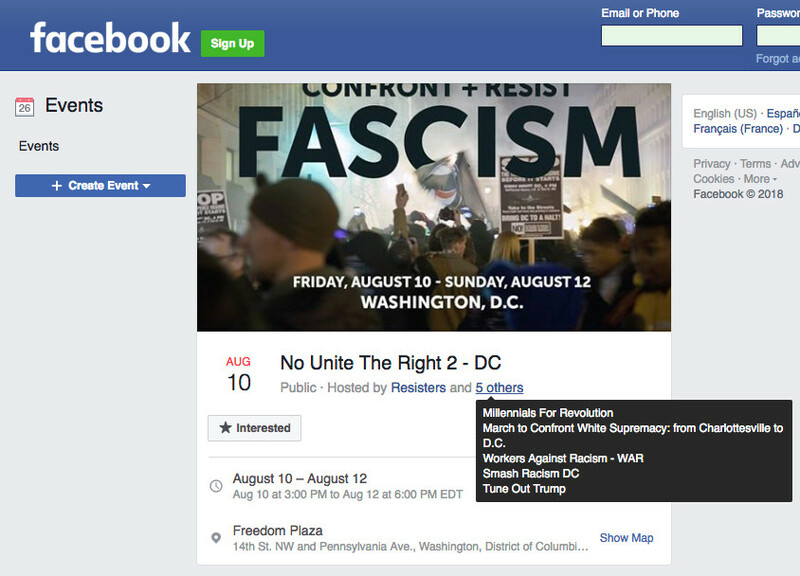 The counterdemonstration, organized under the banner of "Hate Not Welcome: No Unite The Right 2" was removed by Facebook, who loudly accused the organizers of being paid Russian trolls hoping to stoke American divisions. Except these organizers are actually well-known, American activists, posting from within the USA, about an issue they care deeply about. Among these genuine, American organizers is Chelsea Manning, the US military veteran and heroic whistleblower, who explained that the protest was "real and organic," adding "We started organizing several months ago. Folks from D.C. and Charlottesville have been talking about this since at least February." It really hasn't been that long since every progressive cause and event was accused of being a front for Russian fifth columnists and Senator Joe McCarthy was hauling anyone who advocated for a better life for all Americans in front of his House Un-American Activities Committee. Not much has changed. I guess the Democratic establishment finds talking about Russian hackers easier than campaigning on a $15 minimum wage, Medicare for All, and breaking up the big banks and bringing them to heel.